Meritsoft is delighted to announce that today, 29th November, we have won the prestigious British Venture Capital Association (BVCA) “Growth Management Team” National Award. 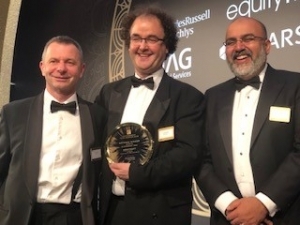 Following success in the regional awards earlier this year for the London and South East region, Meritsoft have now won the National UK Award, winning against strong entries across all industries, sectors and regions. This National recognition tops off a fantastic year for Meritsoft.